D'Nealian Handwriting was developed in the 1970's by Donald Neal Thurber and is the original continuous stroke handwriting program! It maintains its reputation as one of the most widely accepted methods for teaching handwriting. 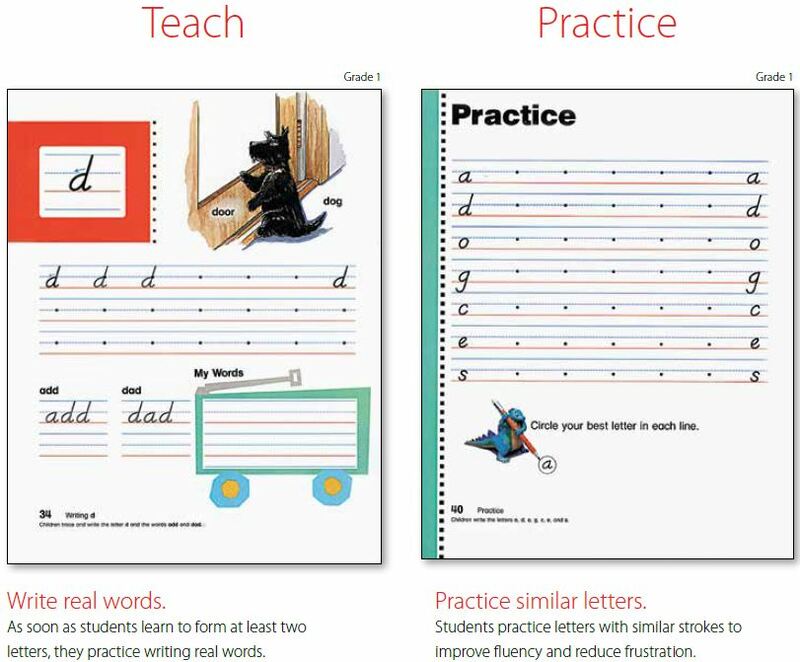 As a classroom teacher, Thurber saw the redundancy of teaching students a manuscript alphabet and then replacing it with an entirely different writing system. D'nealian Handwriting provides a continuous stroke, slanted amnuscript that easily transitions from manuscript to cursive. 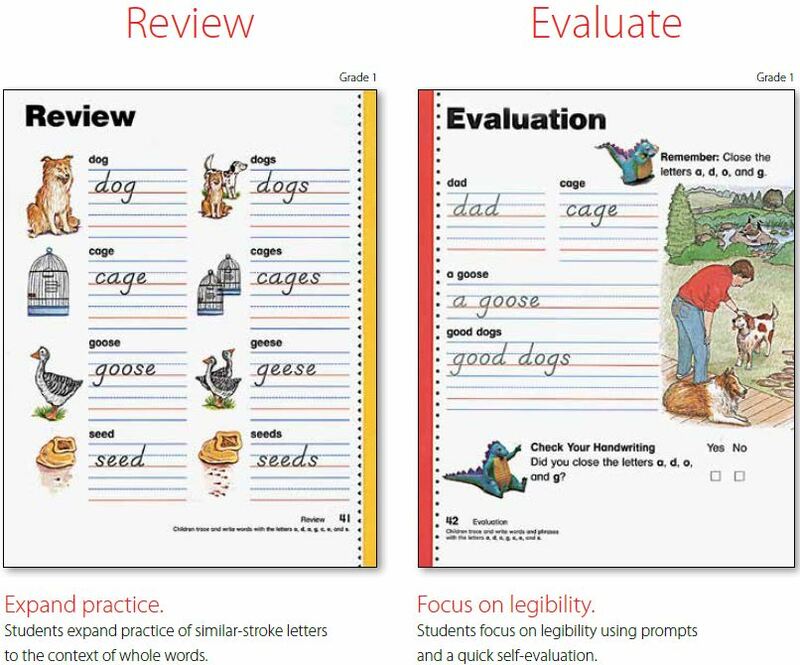 Children simply have to learn are a few basic connecting strokes-and the next thing you know, they are writing in cursive! 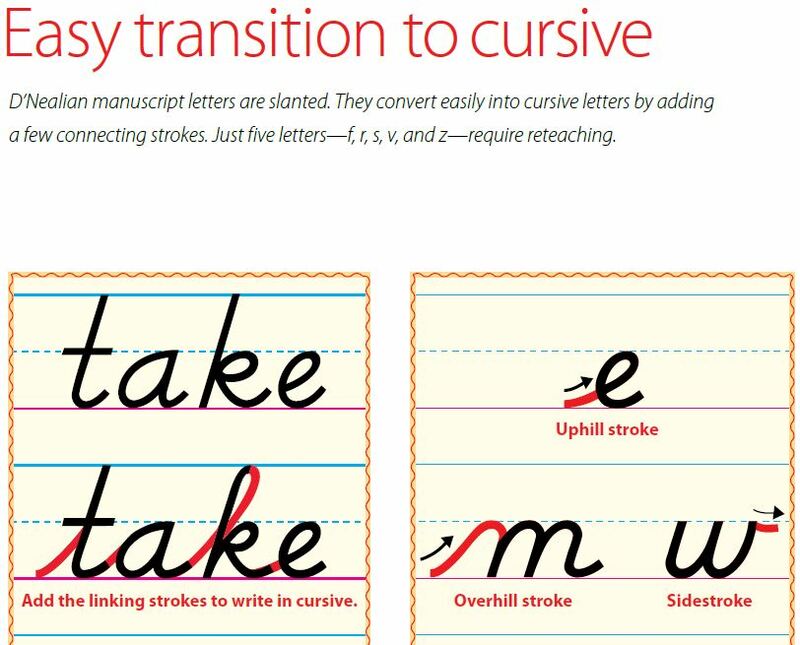 The D'nealian method aims to make the transition from manuscript to cursive easier by adding a slant to the manuscript print and more similarity in the letter strokes between manuscript and cursive, and with less flourishes in general. It is based on a few simple connecting strokes, or tails, that children then use to transition into cursive writing. Manuscript print letters are learned with tails and written at a slight slant, so the change to cursive is simple; all you need to do is connect the "tails". D'nealian Handwriting is published by Scott Foresman.